About 100 RCBC students and community members recently donated about $1,000 worth of items during the college’s annual drive. Several students from Rowan College at Burlington County recently delivered donations to the Burlington County Animal Shelter. 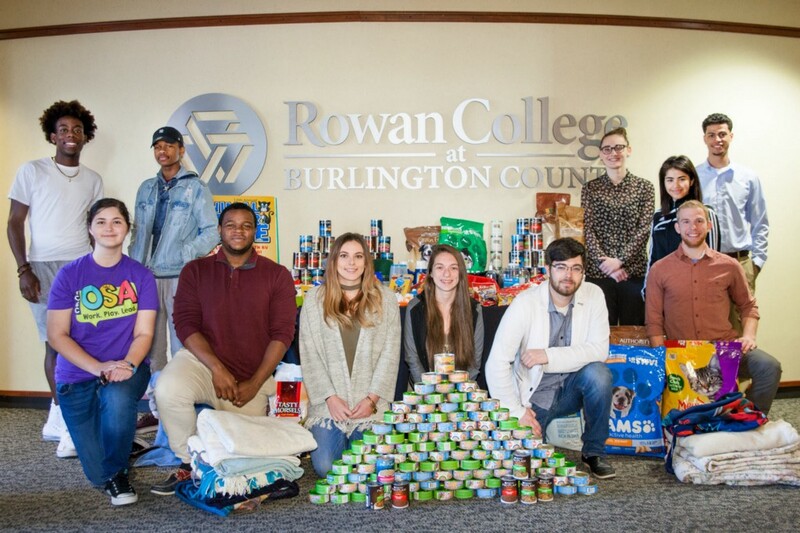 About 100 RCBC students and community members recently donated about $1,000 worth of items to the Burlington County Animal Shelter during the college’s annual drive. RCBC students Gary Godley, Josh Witherspoon, Madison Weller, Gabriela Hernandez, Blake Dunbar, Meredith Megee, Daniel Richards, Mara Dallas, Alexis Petti, Tyler Tindall, and Jared Newcomb were among those who helped deliver the donations.